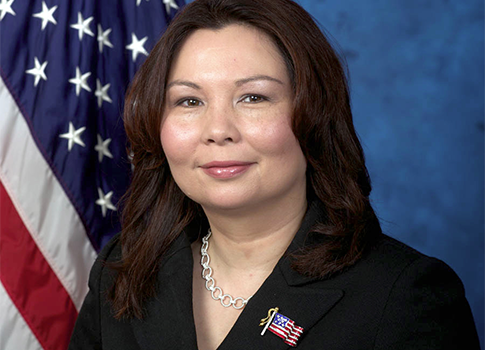 Democratic Illinois congressional candidate Tammy Duckworth privately admitted that she "screwed up in firing" a whistleblower during her stint as head of the Illinois Department of Veterans’ Affairs (IDVA), according to an internal email obtained by the Washington Free Beacon. Duckworth, who is vying to unseat Rep. Joe Walsh (R., Ill.), has been accused of multiple ethics violations during her time at IDVA. She is currently involved in a lawsuit that claims she wrongly fired whistleblower Christine Butler. While Duckworth has sought to downplay the lawsuit—claiming the charges "simply aren’t true"—a recently unearthed 2007 email reveals the Democrat may have been aware that she unjustly fired the employee. "I screwed up in firing [Butler] since she actually is to be put on disciplinary lleave [sic] first," Duckworth wrote in a May 2007 email to her staff. "Our next step with [the Illinois Department of Central Management Services] is to explain why we need to terminate her employment." Central Management Services, the organization Duckworth references, oversees personnel issues among Illinois’ state governmental organizations. Duckworth appealed to her team to provide her with "documentation" in a "clear, user friendly format to justify my decision to fire her." Duckworth’s two-year tenure as director of the IDVA has become a contentious issue in the tight race, with Walsh claiming that her multiple instances of unethical behavior make her unfit to serve in Congress. Duckworth's campaign did not return requests for comment. The lawsuit, filed by Butler and another former staffer, Denise Goins, alleges that Duckworth and her colleague, Patricia Simms, threatened and harassed the two employees for reporting mismanagement and illicit campaign activities at one of the VA sites under Duckworth’s purview. The suit details multiple instances of unethical and potentially illegal actions. The staffers claim that their complaints about the facility prompted Simms and Duckworth to threaten them into silence. Butler was ultimately fired from her post while Simms was briefly fired and then reinstated. "Butler states in the complaint that, in contrast with Duckworth’s claim that Butler was fired for being ‘insubordinate’ to Simms, it was in fact retaliation for reporting the matters described in the complaint," Breitbart reported earlier this month. "In other words, fire the whistleblower." The 2007 email appears to corroborate that claim that Butler was fired inappropriately. Duckworth later "proceeded to meet with Goins in a meeting where she told her, ‘If you do your job and keep your mouth shut and concentrate on job duties, you will keep your job,’" according to Breitbart’s article on the lawsuit. Duckworth has both denied and downplayed the charges. "First and foremost [the allegations are] not true," Duckworth stated at an October 9 event when she was confronted about the lawsuit. "You continue to say things repeatedly that are not true." Duckworth later insinuated that, although she is named as a defendant in the lawsuit, the charges have little to do with her. "Let me tell you this, when you are the head of an agency, especially one with a thousand employees, it is common to get sued in the name of the agency, especially when someone is suing the supervisor and then they name you as the head of the agency," Breitbart quoted her as saying following the debate. "Personally, I think that if this complaint is Mr. Walsh’s best reason for being re-elected to Congress, then I feel very good about my chances." Sources inside the Walsh campaign said that they are "not surprised by the" email. They view it as proof that Duckworth has been deceiving voters about her role in the whistleblower case, which is currently working its way through an Illinois court. "No one should be surprised Duckworth uses the same Chicago machine style politics as [imprisoned former Illinois] Gov. [Rod] Blagojevich did," said one insider. The lawsuit is scheduled to be heard on December 17. This entry was posted in Politics and tagged 2012 Election, Congress, Joe Walsh, Lawsuit, Rod Blagojevich, Tammy Duckworth, Veterans Affairs. Bookmark the permalink.